Properties in Nordhorn average 4.5 out of 5 stars. Property 12: Relaxed stay in a modern, pleasant ambience right on the lake. Property 32: Detached accommodations, located on a quiet natural holiday park. Property 33: Detached accommodations, located on a quiet natural holiday park. Property 34: Detached accommodations, located on a quiet natural holiday park. Property 35: Detached accommodations, located on a quiet natural holiday park. Property 37: Detached accommodations, located on a quiet natural holiday park. Cottage with private garden in the heart of Bad Bentheim, dogs welcome! Property 39: Cottage with private garden in the heart of Bad Bentheim, dogs welcome! 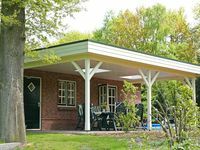 Property 41: Detached accommodations, located on a quiet natural holiday park. Property 42: Detached accommodations, located on a quiet natural holiday park. We were only able to stay one night at this property, but it is quite beautiful. The rooms were clean and well furnished. We appreciated the privacy of the rooms and the owners were available but not intrusive. I would recommend this property for a stay in this area. We were 2 adults and twin daughters at 2 years old. We had very convenient and warm reception, location was in a wonderful piece of nature and the house and surroundings were pretty and good.